We are always pleased to provide turn- key service to clients from conception to completion and welcome the opportunity to work in conjunction with the architect from initial plans into seamless coordinated environments. Alternatively, we are always available to assist clients on smaller projects incorporating existing collections and possessions in fresh surroundings. Ned has worked many residential projects throughout the Northeast and the South as well as the Midwest and California. Other project locations include France, Hong Kong and Singapore. Over the past 6 years I’ve collaborated on some incredible projects, both residential and commercial. I specialize in space plans (including 3D plans), room layout, lighting, kitchen and bath design, to the all final finishing touches. Bringing Spectacular Style and Design to your home. 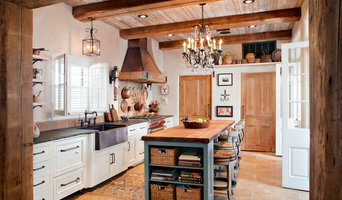 Corrinn Fisher offers over sixteen years of design and home furnishing experience to the Northshore. Corrinn encompasses a unique interpretation of color that she uses in combination with her keen sense of design to create custom home furnishings, and chooses exquisite accessory and fabric selections for her clients. Corrinn is the Northshore's premier designer that adeptly uses accessories as her signature to create an aesthetically polished finishing touch. Her goal is to help make her clients truly feel the embodiment of balance and beauty for their home. 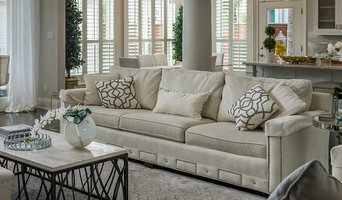 Kelly Sutton Design is directed by award-winning Interior Designer Kelly Sutton, named one of the Boutique 18, Boutique Design magazine’s annual roster of up-and-coming interior designers. Kelly is originally from Lafayette, Louisiana. After earning her Bachelor’s degree in Interior Design from Louisiana State University, she moved to Los Angeles to pursue her passion for design. Now, with over 10 years of experience in hospitality and residential design, many of which were for internationally renowned HBA/Hirsch Bedner & Associates, & extensive international travel for design, Kelly brings a unique & diverse perspective to every project. She has designed homes for celebrities and top CEO's in Los Angeles and gained a reputation for having intuition, a keen sense for detail, a fresh eye, and a down to earth personality that makes everyone feel at home. 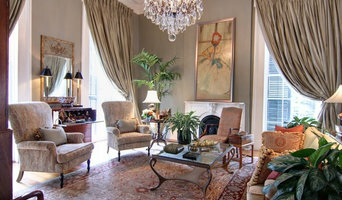 Kelly opened in New Orleans in 2015 with a showroom known as Sutton House. The showroom and design studio are located on prestigious Magazine Street. The New Orleans location is now the firms headquarters and home. In the summer of 2016, Kelly worked with Property Brother, Jonathan Scott, on a home in the historic neighborhood of Treme. They battled Drew Scott's team and ultimately won the 4 episode series with their Vintage Remix design. The HGTV series, Brothers Take New Orleans, aired in November of 2016. Kelly believes a good designer can design in any style because in the end it is all about the client. The design process is an artful marrying of the client’s needs with her knowledge and style so that each project is completely personalized and custom. Kelly has developed valuable relationships with fabricators and manufacturers worldwide. She has a unique personal style she calls - eclectic modernism, a masterful mix of warm classic color palettes, clean modern lines, and unexpected details. We have completed rooms for the elite Greystone Mansion Showhouse in Beverly Hills, Legends of La Cienega LCDQLA West Hollywood event, and non-profit design event DIFFA Dining By Design in New York City. We have been published in Modern Luxury's Angeleno Interiors, California Homes, Modern Home Builder, and South Bay Home.